Ring of Honor Wrestling and New Japan Pro Wrestling will G1 Supercard Festival of Honor on Friday, April 5th, 2019 at the Hulu Theater at Madison Square Garden in New York City. 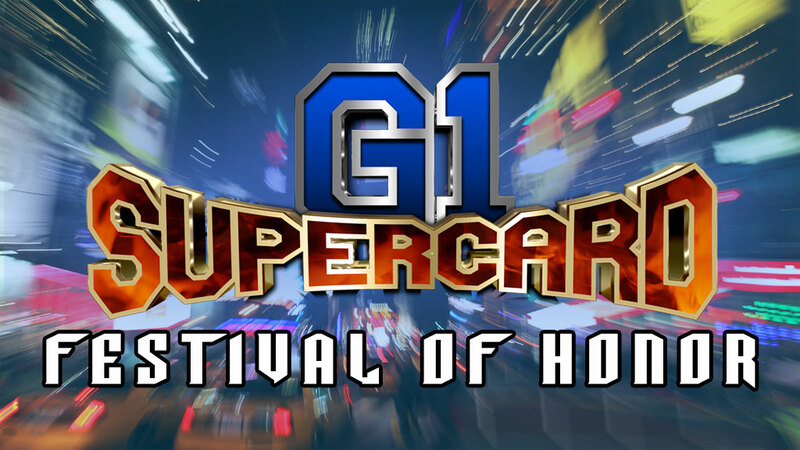 The fan festival will occur the day before the sold out G1 Supercard of Honor wrestling event at MSG the following night. The Festival of Honor will begin at 10:00 AM EST and ends at 6:00 PM. Tickets go on sale for HonorClub members on Wednesday, February 13th, 2019 and for the General Public on Friday, February 15th, 2019. Admission for the G1 Supercard Festival of Honor is just $39 when you purchase before March 20th. which includes access to all festival entertainment, the official G1 Supercard press conference, and a special gift bag with a FREE G1 Supercard hat and lanyard ($30 value). After March 20th, tickets will be $44 and on April 5th, they will be $49. Tickets will be sold separately for the special meet and greet/autograph sessions throughout the day. There will be exclusive meet and greet autograph sessions with ROH and New Japan stars, live Q&A sessions, official press conference, live entertainment, interactivities and more. It was smart for ROH and NJPW to do some sort of fan fest in conjunction with the show they are putting on at MSG. The entire wrestling industry will be in town for WrestleMania weekend. WWE has scheduled their fan Axxcess event and WrestleCon will have over 200 wrestlers and five live shows at their convention. While no card has been announced for the MSG show on 4/6, New Japan’s big three, Hiroshi Tanahashi, Kazuchika Okada, and Tetsuya Naito were announced right before tickets went on sale in August. I would like to meet Okada, again. Last time we crossed paths, it was before he became the Rainmaker. It’s kind of a funny story that I’ll share soon. I have to meet Hiroshi Tanahashi. Call me a mark, I don’t care. He’s truly one of the all-time greats the industry has ever produced. This might be the only chance to snag a picture with him. I’m truly in awe of his work whenever he steps inside the ring. My wife and I are going to the MSG show. As much as I want to run around the big apple and partake in all of the wrestling related activities, it’s only fair I carve out a sliver of time for my better half.